Good morning from Tucson Arena, where last night, the Roadrunners pocketed their 15th home win of the season in convincing fashion – shutting out an opponent for the fourth time this year. Welcome the San Jose Barracuda for their final visit of the season; and a lonely evening it will be in the American Hockey League - the seventh meeting of the year between these two teams slated as the only game on tonight's calendar. Moving on up! For the first time this season, the Roadrunners have passed the Manitoba Moose in the standings, claiming first-place in the Western Conference, edging the Winnipeg Jets’ affiliate by a slim, yet valid .001 points percentage. Head Coach Mike Van Ryn stressed the importance of ‘turning the page’ after last night’s victory, putting emphasis on players’ preparations for the game ahead rather than getting caught in the complacency of a victory. 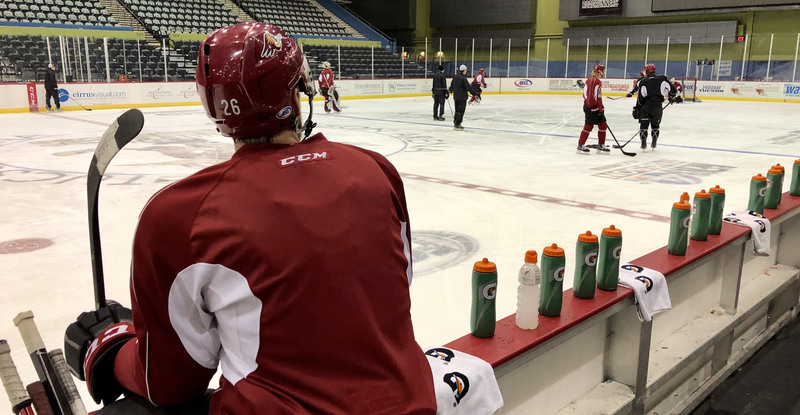 The Roadrunners have won four consecutive games – matching their longest winning streak of the season, which was set with a string of four-straight victories from December 27 – January 5. 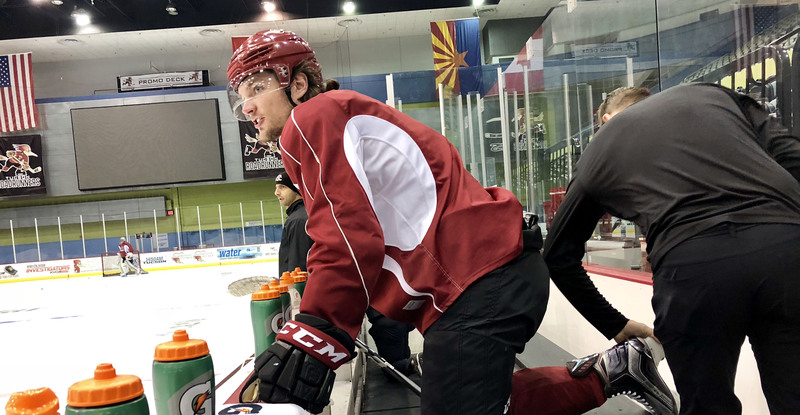 Defenseman Jalen Smereck, reassigned to the Roadrunners from the OHL’s Flint Firebirds, and forward Zac Larraza, recalled from the ECHL’s Fort Wayne Komets, were on the ice for this morning’s optional skate. We played a solid game, I think. We’re a good team when we play hard, and we started the game off well. In the third period we got down a little bit, but we had a pretty comfortable lead going into it, so I don’t know if that was the reason, but tonight’s we’re going to have to play a full 60 minutes. We’re expecting them to come out hard. When you lose 4-0, you shouldn’t be happy, so they’re probably going to try and change a few things. We have to play the same style as we did yesterday, outwork them, and we’ll be good. We’re feeling confident going out into every game. We feel like we’re a good team that can beat any team in this league. When you play with confidence, everything helps, and that’s a big reason. We all play for each other, so that helps.